CHAOS aims to make the public understand the extensive control possibilities that exist using Machina’s technology. Showcasing that with our wearables you can control every day surroundings and feel cool and comfortable wearing them. CHAOS — A collaboration with /*pac Interactive Studio. 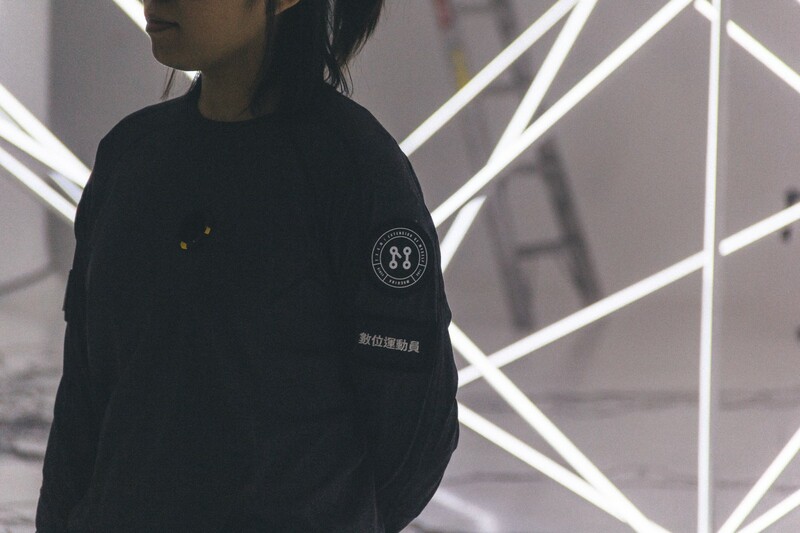 Controlling lights through wearable tech! / * pac is an interactive design studio and media art established in Mexico City, made up of designers Aldo Cañedo, Mar Namihira, Gabriela Reyes and Jorge Flores. / * pac develops and produces all of its projects under the following regiments : code + interaction + shape. Given that all their projects involve programming with creative code, basic electronics and / or application of “new media”, they have been able to represent in a short period of time the broad link between design, art and technology not as a mere functional requirement but as an essence of each project. Machina reached out to /*pac because they have been mainly focused on the use and control of light, exploiting its properties and simple and complex optical effects to communicate specific concepts along with other resources such as audio and movement synchronization, motor control, programming and implementation of sensors and design sonorous. All this for the development of absorbing objects, spaces and environments, immersive and impactful in a monochrome and minimalist style. We believe this was the perfect mix to be controlled by our latest technology development: OBE. What was your first technology encounter? / * Pac was founded in late 2014 and one of the things that prompted us to create a study was just this interest in projects related to technology, media art and interactive design, as well as aesthetic issues and functional in design projects. The fours of us (Gaby, Aldo Jorge and I) are training designers but with a strong interest in the creative code, programming and use of technologies since before founding the studio, let’s say that we had all had projects or collaborations related to these issues. We started with small but significant projects, fortunately time does not pass in vain and the size of our projects has grown along with us. We spend a lot of time researching and experimenting with new materials, processes, hardware and various softwares, which becomes a continuous generator of ideas; It is very common that during this process questions and new ideas begin to develop into new ‘pieces’. Another common process in the study is when one of the members is interested in a specific topic and leads us all to try and investigate it, in most cases, this initiative ends successfully in the development of a project. Which platforms/events have been the most important to you, to present your work and why? In 2016 we were invited to be part of the Dual Year Mexico — Germany, an initiative that left us many good things and collaborations with great artists / studios; It was a year in which we had the opportunity to present our work in several venues and with a very good audience. 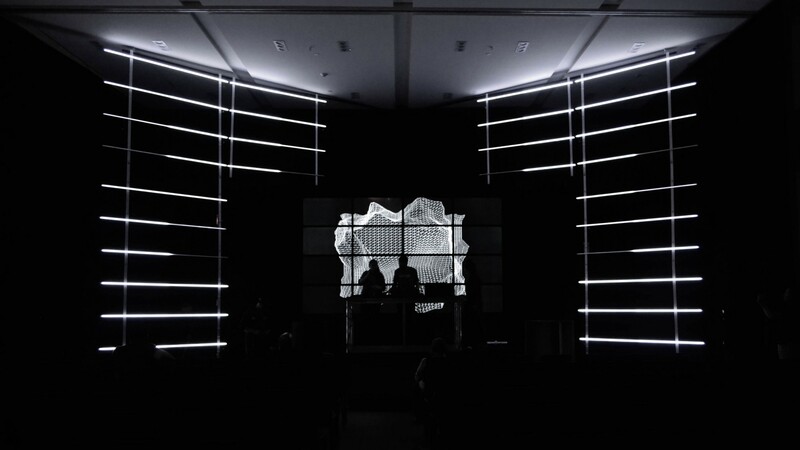 Last year we presented ARISE at Mutek MX and despite being a rush it was a great opportunity to demonstrate the quality of content that is generating national talent. There has been experiences that motivate us to continue promoting the work of the study inside and outside of Mexico and to constantly develop new things. Having a study of your own is a challenge, not in a negative way, but you have to learn a lot to keep it afloat. The time dedicated to a study of your own is greater than when you work for someone, however, the results are usually of great satisfaction. The challenges are day by day, each project represents a challenge, each time the projects are larger scale and involve more resources, the management of these resources (human, technological, economic) are usually not topics that are touched in depth in the school . The commitment of self-taught exploration that is in the study is very important, each project allows us to balance all the things learned and all things that can be improved, self-criticism is essential to better address the following projects. In conclusion, we may not be able to predict a fire for sure, but we can be as prepared as possible for when that happens. What do you think is your key differentiator with all the different movements that currently exist of different interactive artists such as CocoLab, Nonotak, etc …? More and more people are carrying out very interesting projects with new technologies. In Mexico there are great pioneers like Cocolab and some other studies of which we respect their work a lot. 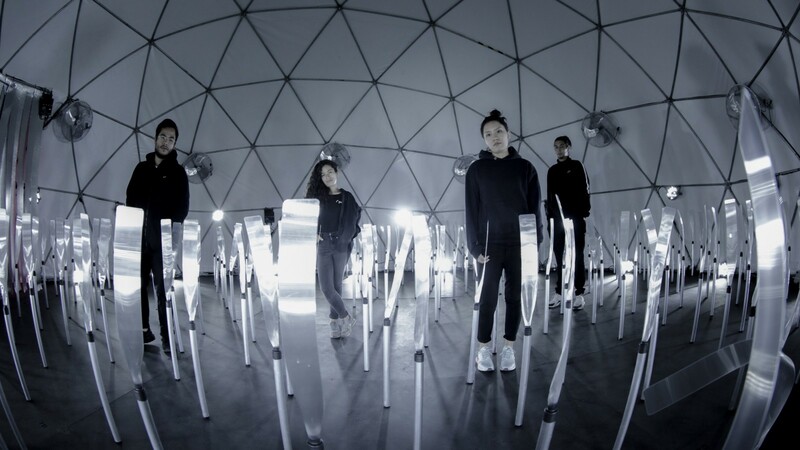 Nonotak is a great world reference and we have the great happiness of being very good friends, in addition to having made a show in collaboration with Takami Nakamoto (half of NONOTAK) in 2016. When we see all the production that is made worldwide we can realize that it follows the same patterns of classical aesthetic production (Crafts, Art, Design), we have the maker movement as the artisans of the 21st century, there is more intimate production thought for museums and galleries that follow the circuits of art and evidently a production thought in masses and closer to the marketing and publicity of design. Naturally, within any subject we find nuances, that is where we seek to find ourselves, where commercial projects take on an intimate character and artistic works leave aside the false pseudo-intellectuality and elitism that causes so much damage in galleries and museums. Unconsciously or consciously, we should add that being Mexican makes you think and project differently from our strengths and limitations. Like Machina, you merge two completely different industries. What do you industry do you think defines / *pac the most? The design or technology and why? As we commented before, the place where /*pac feels most comfortable with is at the border of both disciplines, we love the border between art and design on the one hand and the way to unite this is through technological tools. The use of technology is a result of our time, in a certain sense we simply try to project with the tools with which we had to live, we write code for software and hardware, because there is a large community committed to principles such as open source and creative commons of which we have been able to nurture and collectively build knowledge. Something unthinkable before the mass of the Internet. Since the beginning of the 20th century, new possibilities offered by electronic media to create art have been included. What has been the most challenging technology you have used? On what project was it? Usually, the technology that we use for the first time and the time it takes us to investigate and understand it completely. How are the work roles distributed within the team? Actually we all do everything, what makes it different depends on the workload we have at that time, there are times that we solve more than one project at a time, so there is a need to distribute tasks. Another issue that defines who does what depends on the programming language with which the project is going to be resolved and what makes it easier. There are many tasks within the study and the key is to know how to administer and execute each one when required, which we have been learning and improving over time. Who are the main exponents of the creative code that have influenced / *pac? We could say that one of the first people to influence the principle of our work is Juan Manuel Escalante, architect graduated from UNAM, a clear example of design thinking and aesthetic will. Despite not being a designer by profession, he has a strong aesthetic and functional commitment in each of his projects and it is just the kind of thinking that we consider necessary in Mexico. Before forming / * pac and knowing each other well, most of the members of the study had the opportunity to meet Juan Manuel years ago, an experience that, together with others, served as an influence to decide the path we wanted to take individually and as a study when founding / *pac. On the other hand, in general artists more involved in the medium such as Daito Manabe, Ryoichi Kurokawa, Nonotak Studio, Ryoji Ikeda, Herman Kolgen, Joanie Lemercier and artists with whom we had the opportunity to make friends and get to know their work more closely as Takami Nakamoto, Schnellebuntebilder, Marco Barotti, Desaxismundi. What were the first tools / languages they used and how have they evolved? The basic tool that actively introduced us to the world of creative programming was Processing. In our experience, it is a very good way to learn basic creative code. Then we experimented with other softwares and just these experiences and the constant development of projects have led everyone to work with their favorite software. Currently our main tools of development are VVVV, OpenFrameworks, TouchDesigner and Ableton Live. What has been the most complicated technical problem and how did they solve it? 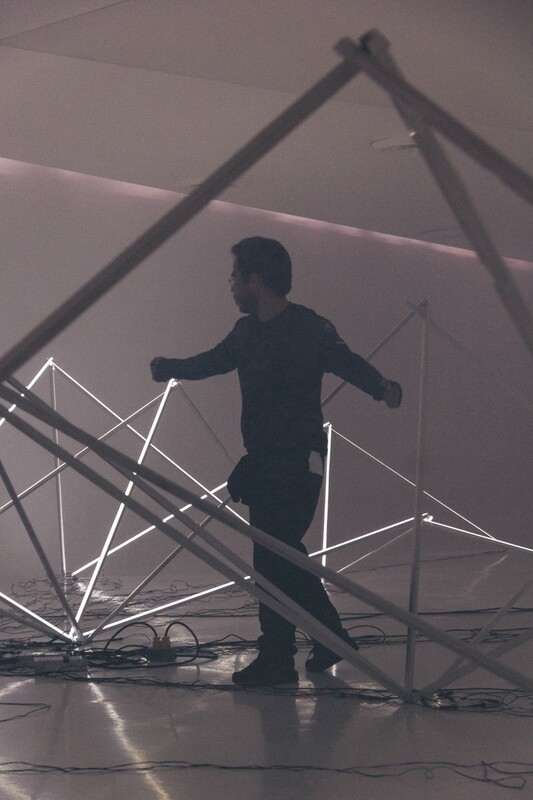 “We recently did an installation with 100 lasers that we had super tested and pulled perfect. Once mounted on the wall of the gallery, at the time of lighting, did not turn on half and we spent 4 hours watching why they did not turn on, until we realized that the aluminum structure in which we mounted them was creating interference “In conclusion, according to all the aluminum is a bad driver but the reality is that it made the installation not run as it should and we learned something new because of that problem. What was your first reaction to Machina’s technological development? Mainly admiration because of their perseverance and commitment to the quality of their products. They are also a young studio that has achieved with its work to be a good reference of well done design in Mexico. /*pac interactive as a team usually does not show it’s face, and when it does, it is usually all of you dressed in black. Is this something that you consider it defines your style ? _ We do not usually show our person in our publications because what speaks for us and our true image as study is our work. Dressing in black is not an official decision of the studio, everyone can dress as they please (note that individually some or all of us had previously black as the favorite color to wear); but the real thing is that based on the identity of the study, organically it has become a kind of dress code not imposed, nor mandatory. _ The black color is a fundamental part of the monochrome, contrast, complement and duality that we love, not only as meaning of color but also as space, totality and essence. On the one hand, the contrast between black and white, so saturated and perfect, marks totalitarian limits that leave no room for doubt; On the other hand, the monochromatic spectrum between one and the other generates fine gradations without specific borders. Qualities that describe the worlds that we like to explore in the interpretation of our work. The style of / * pac is contrasting and minimalist but bold and dynamic. 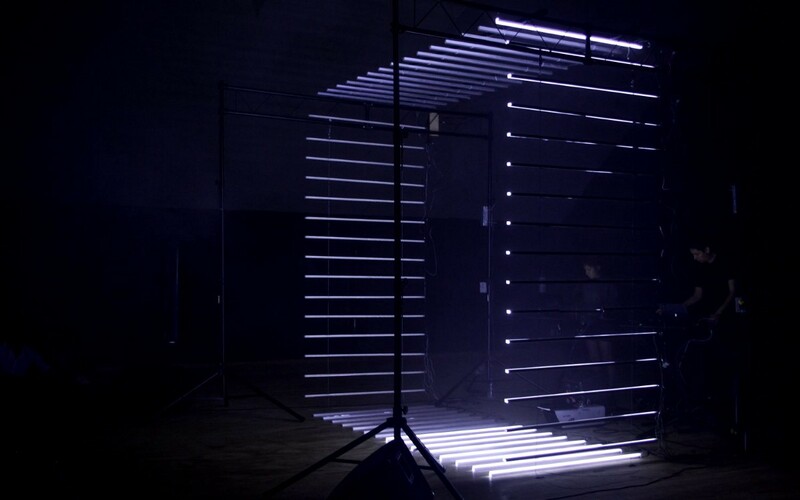 The Making of "CHAOS" a collaboration by MACHINA & */pac Interactive Studio from MACHINA on Vimeo. We are living special times in Mexico; we are living an era of growing creative talents in all industries. We know you have collaborated with fashion brands in the past like Nike, Reebok & Vans. Do you see your approach on collaborating on fashion brands differently than doing art pieces for musical festivals? Everything depends, the collaborations with brands always have different origins or intentions; definitely the focus changes from the moment you have to consider the objectives pursued by a brand in the result of your work. The challenge in this case is to bring both objectives together in the gentlest possible way. Design a piece that achieves 100% of the essence of / * pac and that complies with the vision of the brand. As you say, we are living special times in which brands recognize the usefulness of choosing to address the essence of things, both in the design of their products and in the way they approach the public. Based from your experience What makes a collaboration work? Definitely the key to success in a collaboration is the commitment and objective visions of both parties for the benefit of those who participate. In 2018, Mexico City became the official World Design Capital, a year long biannual designation to showcase and celebrate the city’s design achievements — which Mexico City has in spades. *pac/interactive has obviously standed out from the crowd being considered a unique proposal when it comes to visual art. What do you consider to be your best asset as part of this creative movement and why? We have always believed that any type of recognition is a consequence of your work. Fortunately, today / pac has been included in the new proposals for design and digital art in Mexico and we believe that it is thanks to the fact that we have maintained a constant rhythm of work, without losing the characteristic stamp that expresses our aesthetic and conceptual visions. “CHAOS” a collaboration which took around a year to construct and create. What was your favorite part of this collaboration? Part of the greater learning that CHAOS leaves us is a new experience of teamwork, although we often collaborate with different experts, each occasion is different. In this case, from the collaboration with MACHINA we learned the potential of a long-term strategic planning that obviously goes hand in hand with the satisfaction that lets work with friends, it is a great opportunity to expose the potential of what two Mexican studies can do who work with technology.